Please enter the desired booking date in the calendar widget above under Period. Thank you so much your request, we will be in contact A.S.A.P. We have sent you an E-Mail confirmation for your Booking Request. Price up to 2 Persons per Night. Every extra Person costs 25,00 € per Night. 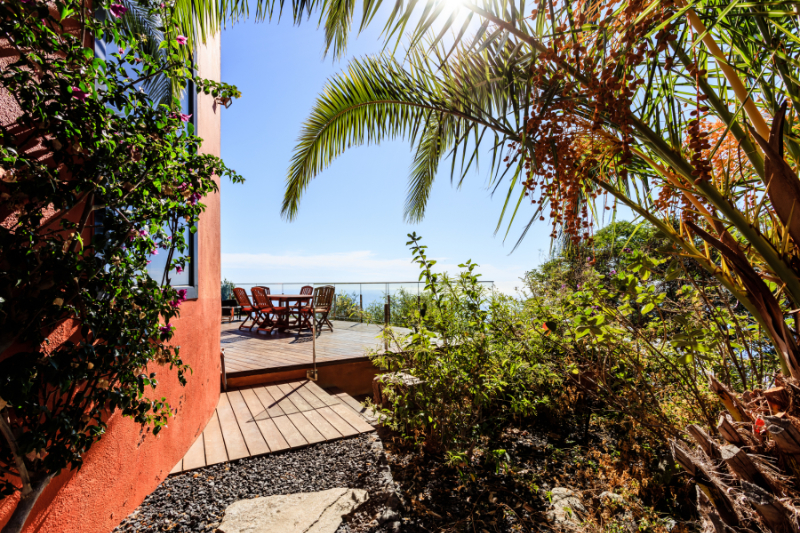 Welcome to Villa Corona, the perfect place to live at one with nature in stylish and comfortable surroundings on the Sub tropical Island La Palma. Here you will feel like on top of the world and among stars. The Villa is the perfect place for a couple, families and big groups/retreats (up to 16 People). This Villa is special, the setting, the views of ocean, stars and forest, the gardens and the architecture. 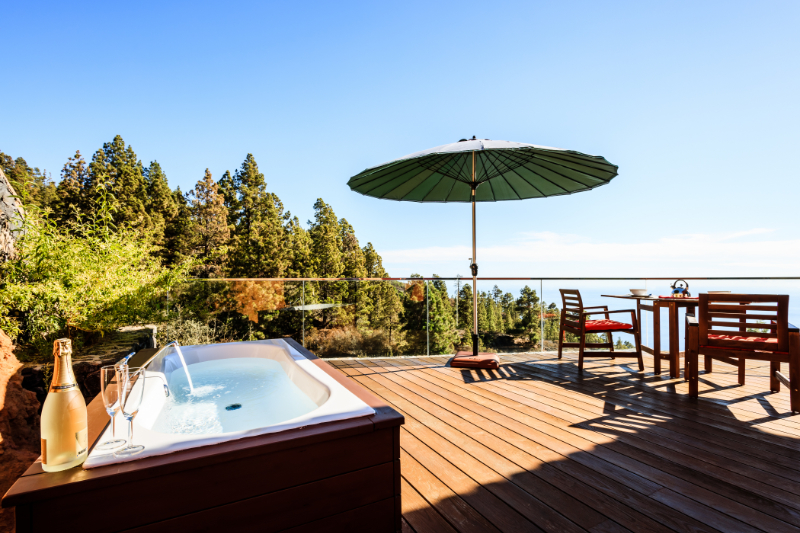 There is only one Villa Corona or anything like this on La Palma. The round living room is 120 m2 and has an amazing view of the ocean. The Villa has a heated around 24 degrees C, 8 by 4 meters saltwater pool with a 200m2 pool area with a wooden outdoor sauna house for 6 people, a ping pong table and sun-beds. All over the property you will find spectacular views of the ocean, forest and the stars. The Villa has a living room kitchen with all you need to cook for many people, dishwasher, big fridge and a professional cooking area. Villa Corona houses up to 8 people comfortably. 10 people if you join the apartment in the back on the Villa. The Apartment (see photos) has a big bed (180 by 200cm), private floor heated bathroom, private entrance and a terrace with a outdoor hot-tub. The use of this apartment costs 50 euros extra per night, unless you are more 13 people and more. The accommodation is mostly in double beds 3 of the 5 bedrooms (including apartment) have their own floor heated bathroom. One bathroom has a private jacuzzi bathtub. Allmost all sleeping rooms have wooden floors and wooden roofs. High speed ( up to 8,5 Mbits.) wifi internet, air tunes, flatscreen television, Bluray/DVD/CD player and a stereo system form a natural part of the Villa. Some rooms and bathrooms have their own private speaker system as well. The Villa has a 100 m2 roof terrace with 150 degrees view of the ocean and plenty of space for chilling. Villa Corona can also give room for seminars/retreats of all sorts, family reunions of several generations, company reunions, along with small functions and so on. United with the Casa Corona (the next door pool House), up to 16 people can sleep comfortably. In total the place has 7 bedrooms (6 of which have double beds (160 by 200 meters), 8 bedrooms if you count the sleeping cave. The place has 6 Bathrooms in total (one bathroom is beneath the Pool). A outdoor Gas-Grill is situated behind the Villa. Parking is in fron of the Villa. The house is 1 hour and 10 min drive away from the Airport and 20 mins drive to the main beach Tazacorte ( or town Los llanos). Local beaches in Tijarafe are closer with some walking included, yet mostly only open in summertime or with small waves. Many beautiful hiking trails pass in the area around the house that leads all around the island. Garafia or the Caldera with infinite amazing hike trails is 30 min away with car. The Villa is nested on a mountain ridge surrounded by pine trees and almond trees. The property has some fruit trees ( apples, grapes, figs, oranges, nispero, avocados, kaki, plums, chestnuts, chirimoya e.t.c). Please feel free to take what ever is ripe ! Villa Corona resides on a 5 acre estate, that guests will have access to. 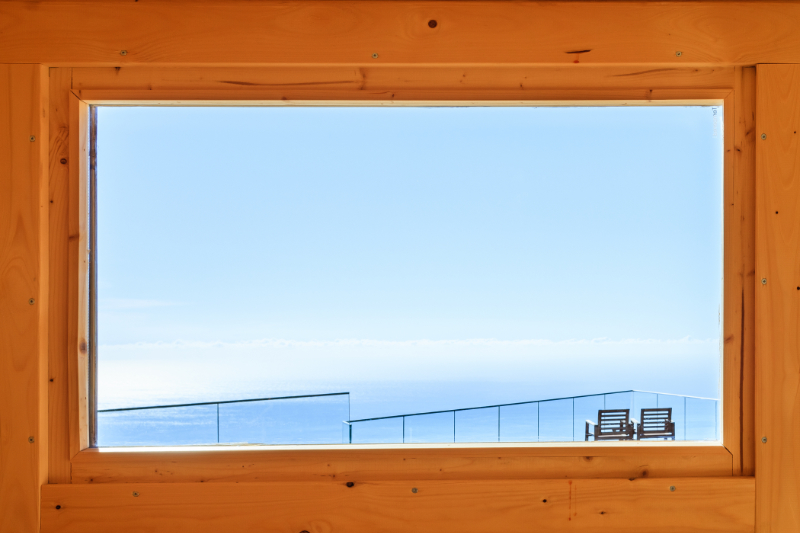 The estate is situated on 700m altitude, and it is the last Villa on the road. There is a guest parking for 4 cars straight in front of the Villa. We also offer professional and private hiking tours for those that want to hike those unknown and magnificent hiking trails. We can also arrange a private Michelin Chef that cooks dinner for small to big parties. Guests will have access to all of the Villa except the rear Apartment (that has to be booked extra unless you are 13 guests or more (50 Euros per night)) The gardens, the pool area, the caves and all of the 55000 m2 estate is at your disposal. There is plenty of room for a couple or a larger group to feel very comfortable. Francisco, the caretaker of the Villa will greet you at the Villa, show you everything and hand over the key. Please Call him when you have landed on the island. Francisco lives close by and any question or problem can easily be answered and solved. Sometimes there might be some garden work happening on the property, yet nothing that disturbs or makes noise. We always make sure you have your absolute privacy. 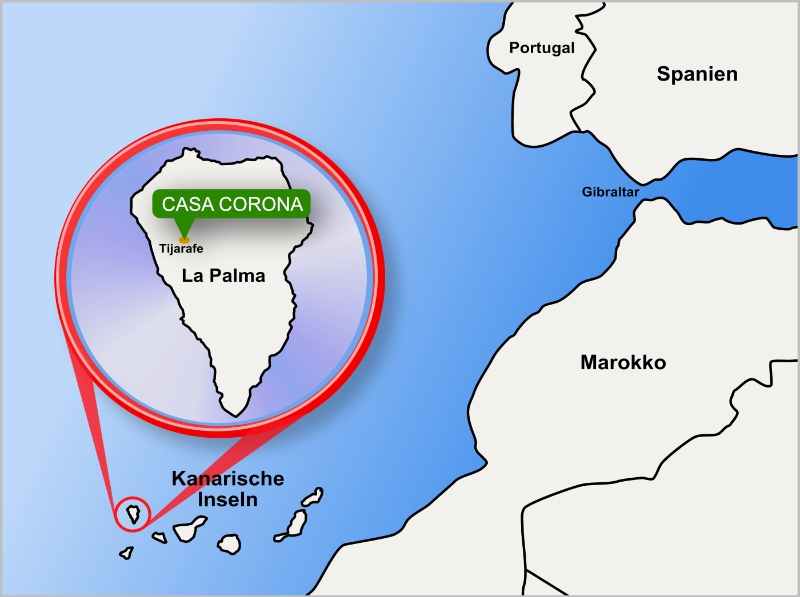 Villa Corona belongs to a Norwegian family and is managed by Martin Marstrand that will handle all mails and online contact. Villa Corona is perfect for having Seminars of many sorts. We are experienced in taking care of groups up to 16 People. June is a specially ideal month for Seminars since its low season. Please feel free to ask the owner for a Seminar offer. Hope to see you soon in Villa Corona.